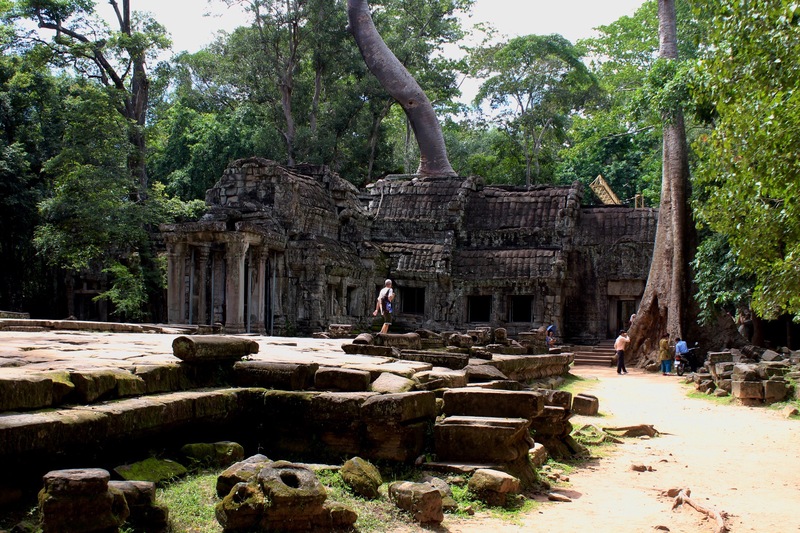 Preah Khan was apparently also a large Buddhist university with over one thousand teachers. 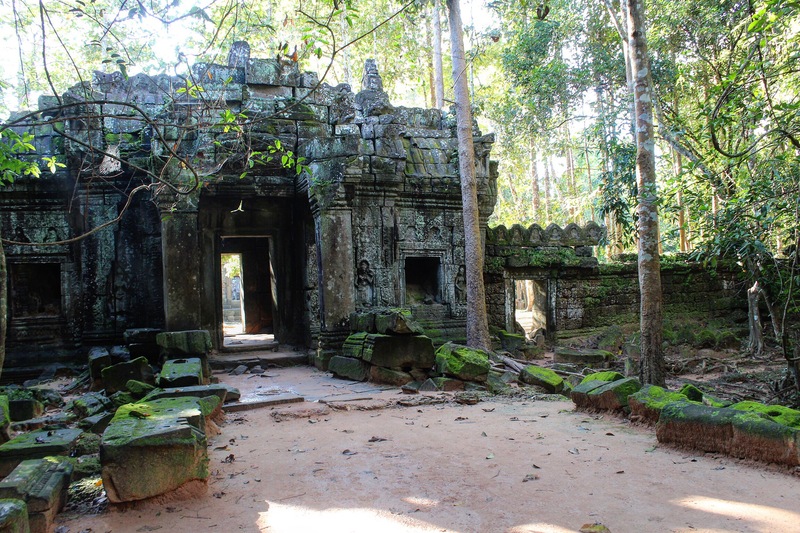 It’s among the largest sites in Angkor and a major portion still remains unrestored. There are four concentric ramparts that subdivide Preah Khan. 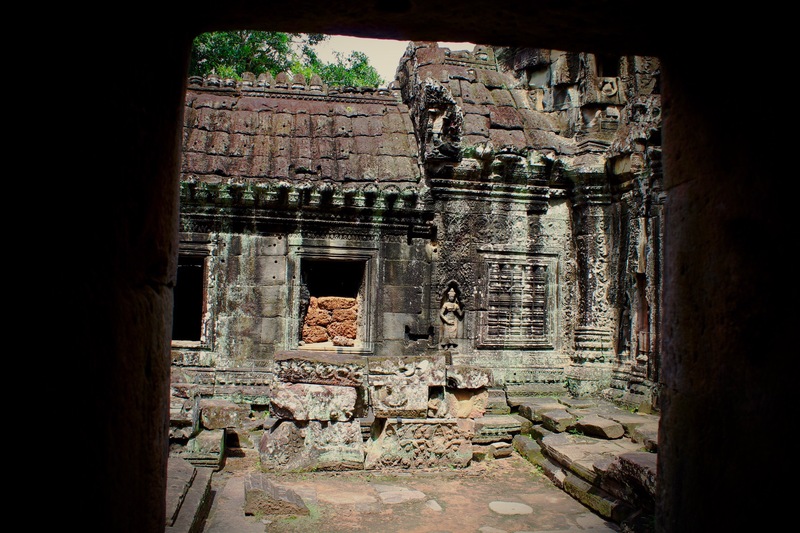 The outer or fourth wall, is encircled by a wide moat, formerly the living quarters of the monks, students and attendants of Preah Khan. The second rampart delineated the principle religious compound,within it is a dense concentration of temple and shrines. The central complex is Buddhist. The northern and western sectors are dedicated to Brahmanism— Vishnu (west) and Shiva (north), lastly the southern sector is a place of ancestor worship. The eastern sector forms the grand entrance to the central shrine. 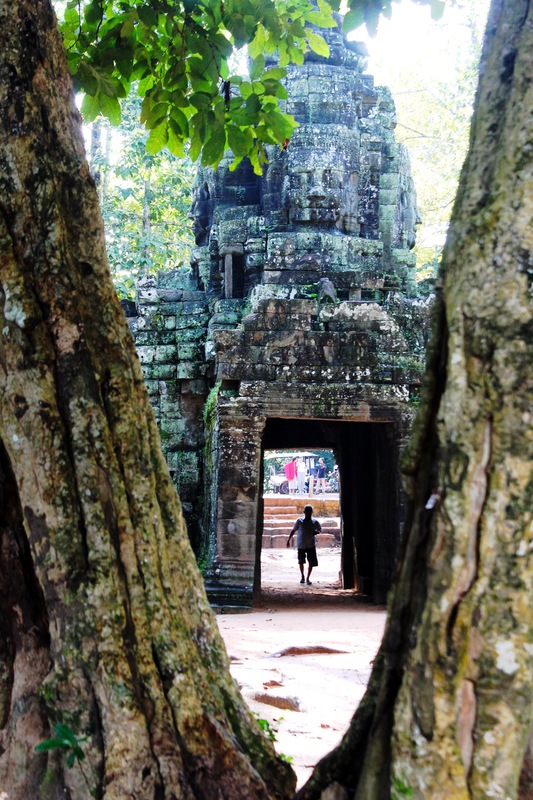 A very important feature of almost every Angkor temple is the network of corridors. 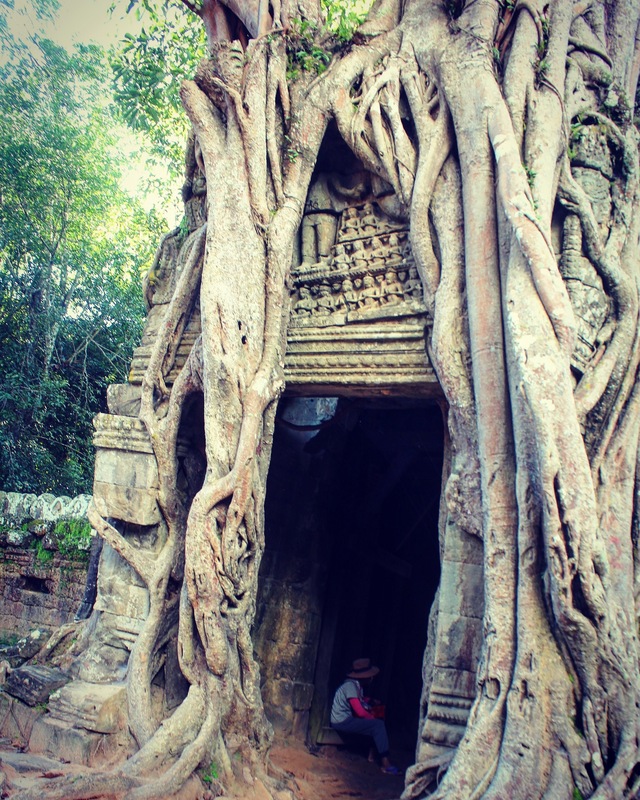 From Preah Khan I move towards Ta Som which looks quite identical to Ta Prohm, including the tree roots clutching temple walls. 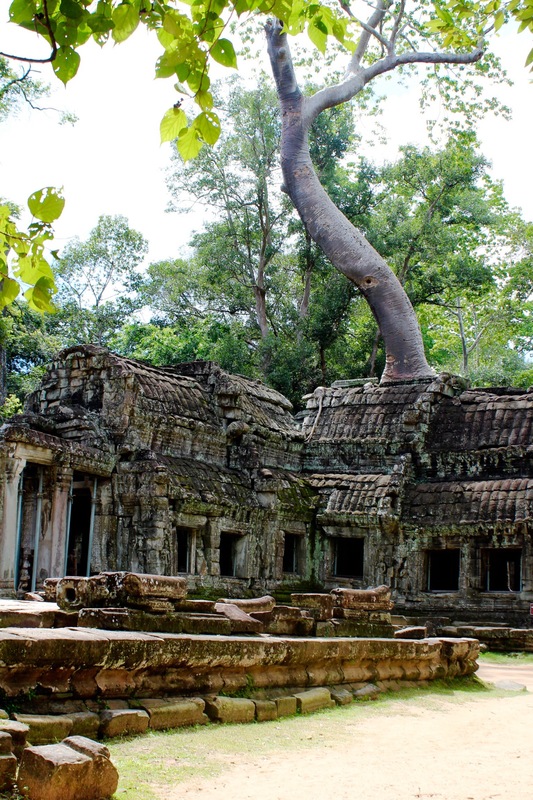 A ficus tree grows from the roof of eastern gate or gopura. 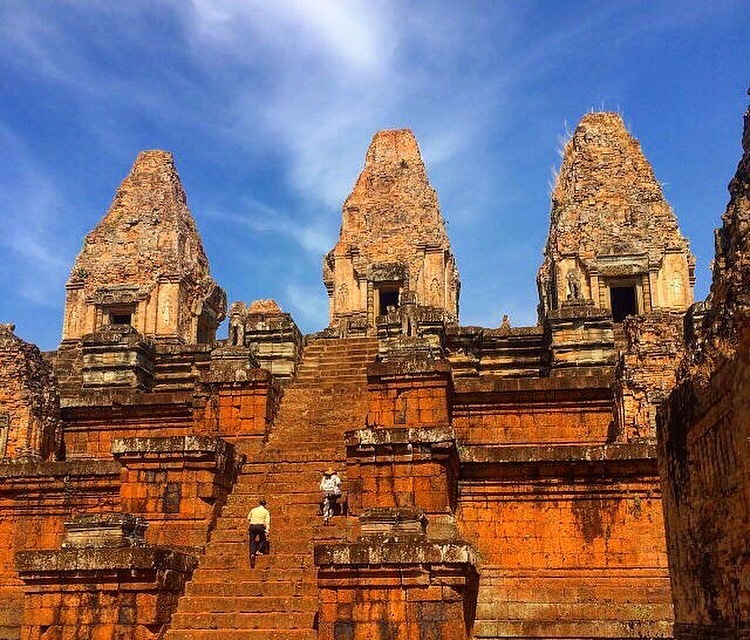 Ta Som was built towards the end of 12th Century and was dedicated to the father of Jayavarman VII. 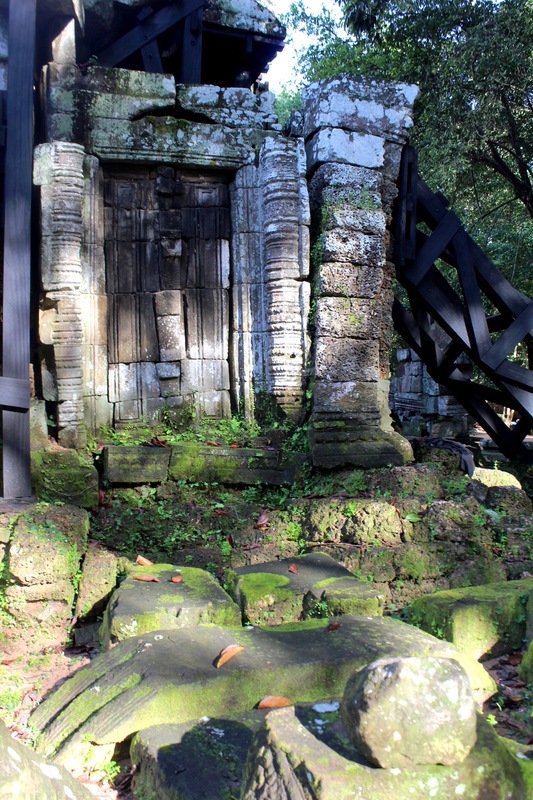 It’s a small enclosed temple with single tower and entrances from east and west with carved faces of Lokesvara on them. It’s a charming pile of stones as I would rather describe it. 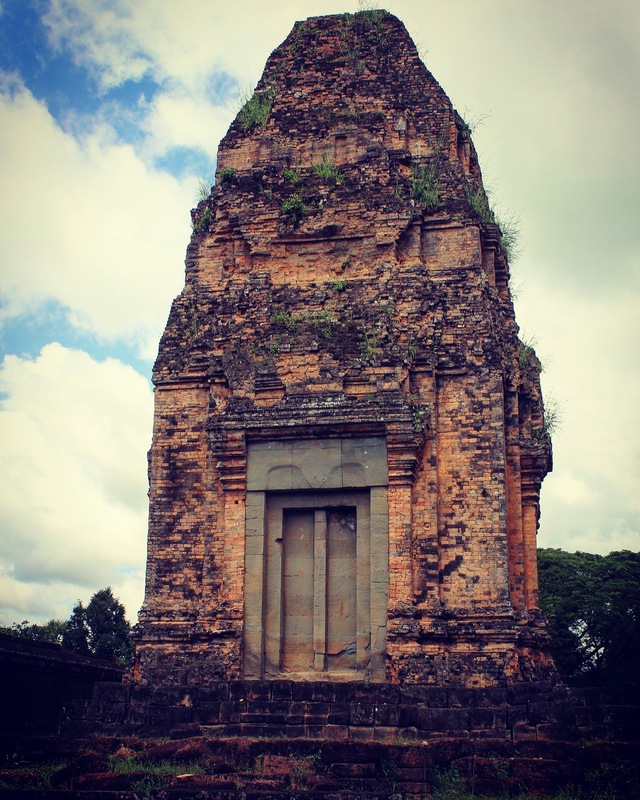 My next stop was East Mebon a 10th Century temple built by Rajendravarman. This Shiva temple was dedicated to the parents of the king, has two wall enclosures and three tiers. It’s made of sandstone, brick and laterite. From East Mebon I head to Pre Rup another Hindu temple built by King Rajendravarman in the early 962, and is made of brick, laterite and sandstone. It was dedicated to Bhagwan Shiv. Pre Rup is famous for its sunset, I was there in the afternoon, going by my beat the traffic policy. If crowds don’t scare you then you can probably keep Pre Rup last on the list for the sunset view. 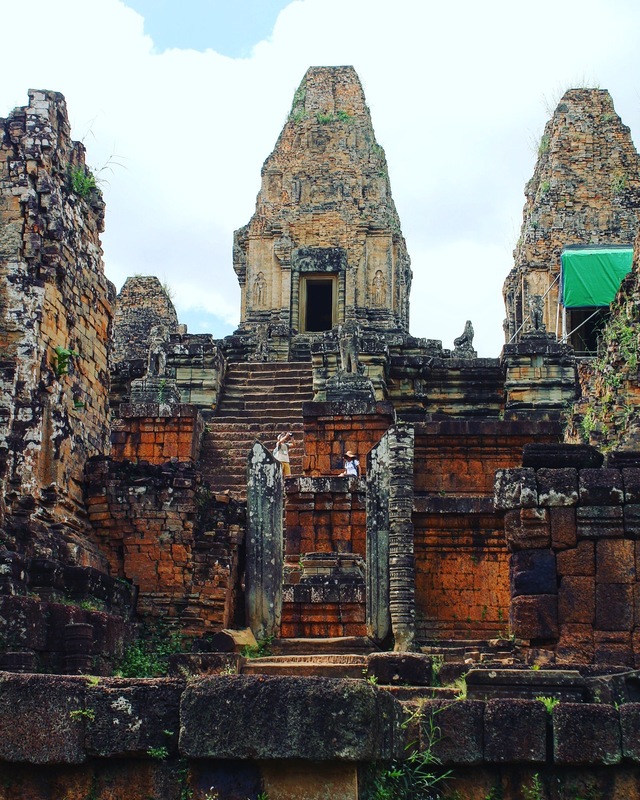 These steps are quite steep and tiring to climb specially when the weather is hot and humid, but it worth the effort as I am told since I didn’t climb, saving my energy for the crown of Angkor, Banteay Srei. Just like Angkor Wat, Banteay Srei too needs one full blog at least, to describe this timeless beauty. This 10th century temple is renowned for its intricate decoration carved in pinkish sandstone that covers the walls like tapestry. Its not possible to appreciate this beauty called Banteay Srei in mere couple of hours and neither can one paragraph in a blog do justice. 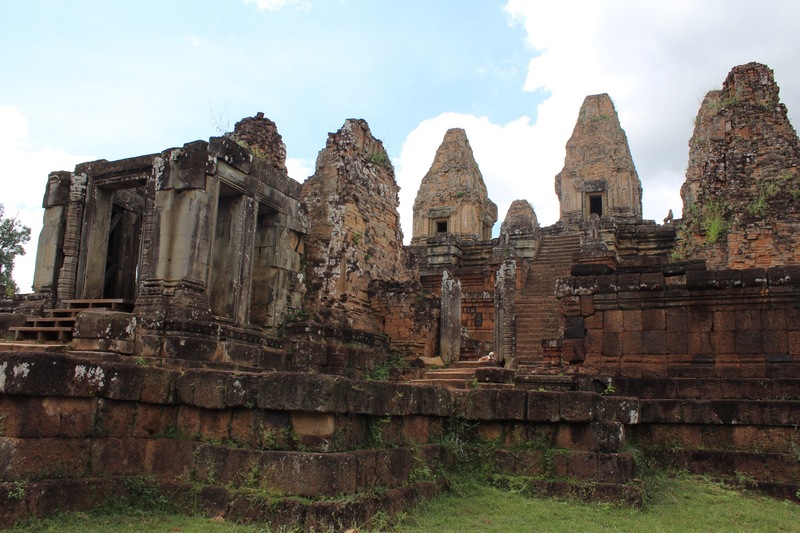 We shall continue this journey to Banteay Srei in the next issue.